Dam Tre Bay (Vịnh Đầm Tre) is situated in the North-East of the Con Son Island, around five kilometers from the Con Son airport and 16km from the town. The area of Dam Tre bay is about 134 hectares, covered with mangrove forests and surrounded by bamboo. 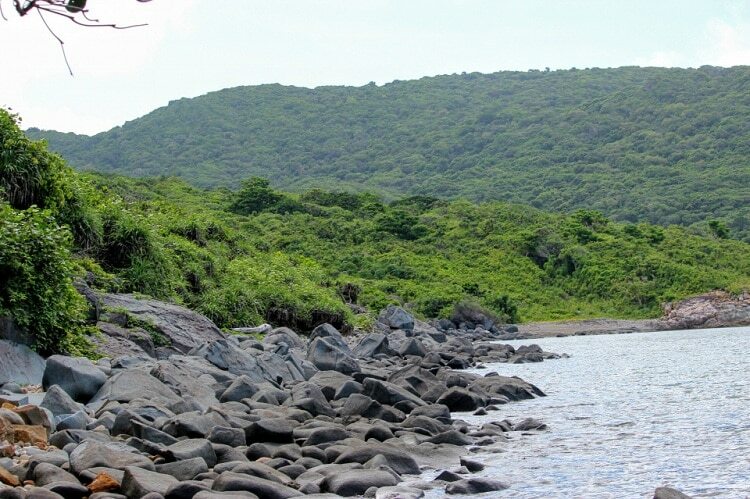 The bay offers a rocky beach, rugged landscape, and a bamboo forest. Let’s discover Dam Tre Bay when traveling to Con Dao. A perfect month to visit Dam Tre Bay is in March because there is warm at night and no rain. Besides, the seawater temperature in this month is suitable for surfing, snorkeling, and diving. The sea is calm in April with the seawater temperature at 28˚C – ideal for various water sports and a boat trip to surrounding the Con Son Island, Vietnam. The bay was called Dam Tre Bay since there are many bamboo trees which grow thick and close together as a strong wall around the bay. Besides, the mouth of Dam Tre Bay is nesting place of swift birds along with a few species of other sea birds. The birds fly filling the skyspace in the breeding season, which creates a vivid natural landscape. The bay is unspoiled and charming with a combination between surrounding mountain and immense sea. Furthermore, the bay distributes the complete island tropical sea ecosystem such as seagrass, mangroves, and abundant coral reefs. 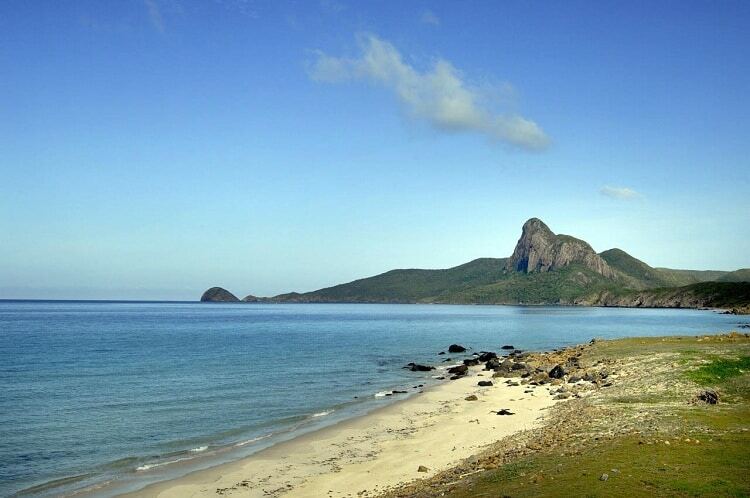 Dam Tre Bay is regarded as one of the most attractive destinations to discover the ecosystem on Con Dao Island. 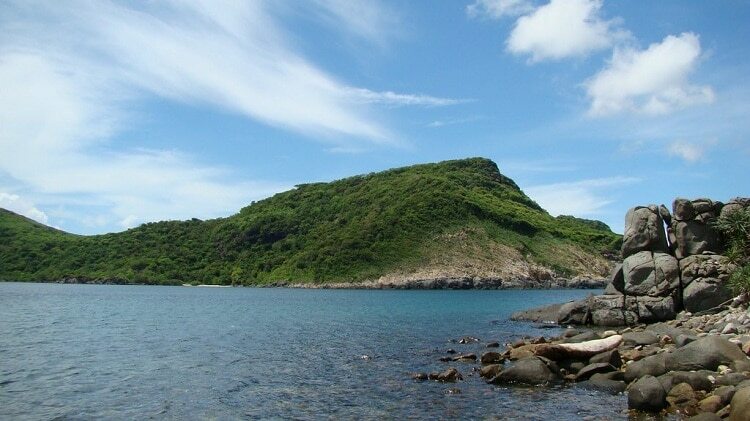 When visiting Dam Tre Bay, you can snorkel to view giant clams and colorful corals; or trekking around mangroves to notice the birds; climbing to high mountain peaks, delight in swimming; enjoy the beautiful panorama of the bay together with the surrounding areas such as Bay Canh Islet and Cau Islet. You can also walk through the Horse Mountain to see some rare flora species and wild animals on the way. Furthermore, you can explore two kinds of typical forest in Con Dao namely moist semi-deciduous rain tropical forest and evergreen rain tropical forests. Visitors can do many things such as watching coral, swimming or looking at bird nest at Dam Tre Bay. Then, visitors can have lunch and rest at the ranger station and come back to the Con Son town in the afternoon. The bay is also the ideal attraction for travelers to stay overnight, hear the sound of the waves and enjoy its beautiful view at night. Hope you have an unforgettable trip to Dam Tre Bay. Don’t hesitate to share your travel experiences with us by leaving a comment in the box below. To get more info about Vietnamese tourism, visit our Vina homepage.